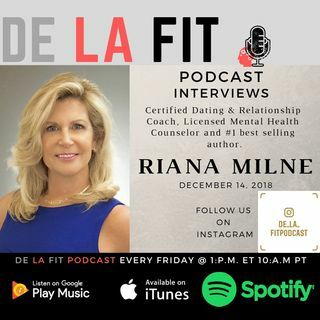 De La Fit Podcast is honored to have as our guest. Certified dating & relationships coach, Mental health counselor and number one best selling author of the book LOVE Beyond Your Dreams; Break Free of Toxic Relationships to Have the Love You Deserve (2014) - #1 BEST SELLER on Amazon & 5 Star Reviews: www.barnesandnoble.com Riana Milne. Riana will be discussing with us the How Childhood, Dating & Relationship Trauma & Unconscious Emotional Triggers Impact our Adult Life & ... See More Love Relationships.